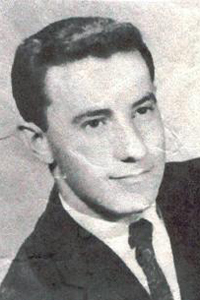 Frank James Ruggiero, 77, of Tiffin, passed away Saturday afternoon, May 19, 2018, at his home. He was born July 29, 1940, in Tiffin, to Anthony and Adelina (Ricci) Ruggiero. He married Mary Lou Kirian Nov. 4, 1967. Survivors include his wife, Mary of Tiffin; a son, Daniel Anthony (Lucy Rene) Ruggiero of Perrysburg; a daughter, Michele Marie (Doug) Beuoy of Tiffin; a brother, Anthony “Tony” Ruggiero Jr. of Tiffin; a sister, Lucy McClellan of Tiffin; and four grandchildren, Nikki Wise, Alex Beuoy, Dougie Beuoy and Chelsea Keckler. He was preceded in death by his parents; two brothers, Bartholomew “Ben” Ruggiero and Daniel Ruggiero; eight sisters, Michealina “Maggie” Aiello, Mary Shimer, Pat Klopp, Liz Porter, Carmela “Mollie” Aiello, Ann Kiesel, Grace Mangiola and Alice Burkart. 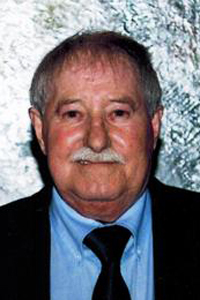 Frank graduated in 1959 from Tiffin Calvert High School, retired as a supervisor from A.O. Smith/Westinghouse and was a member of St. Mary Catholic Church. He was a member of Tiffin Moose No. 846 and enjoyed going to the casino and the horse track, trips around Michigan and was a Wolverine and Michigan sport fan. Friends may visit with the family 4-7 p.m. Wednesday, May 23, 2018, at Hoffmann-Gottfried-Mack Funeral Home & Crematory, 236 S. Washington St., Tiffin, OH 44883, (419) 447-2424. His Mass of Christian burial will begin at 1 p.m. Thursday, May 24, at St. Mary Catholic Church, Tiffin, with the Rev. Gary Walters officiating. A rosary will be prayed 20 minutes prior to Mass. Burial will follow in St. Mary Catholic Cemetery, Tiffin. Memorial contributions may be made to St. Mary Catholic Church or Bridge Hospice Care.